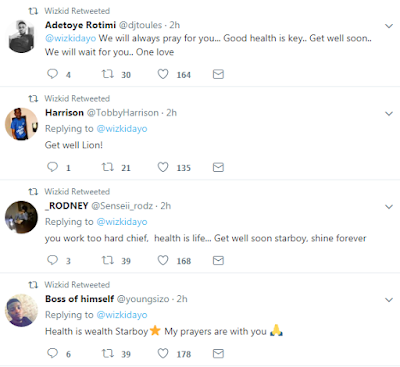 Wizkid seems to be passing through difficult times due to health complications. 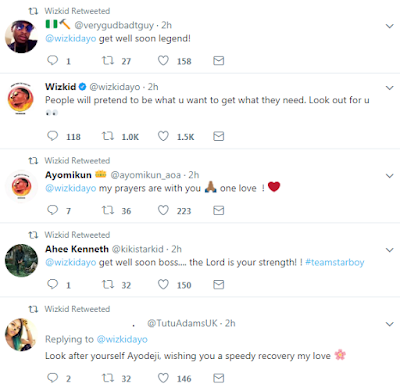 The singer took to his twitter handle few hours ago to inform his fans and also apologized for missing shows. 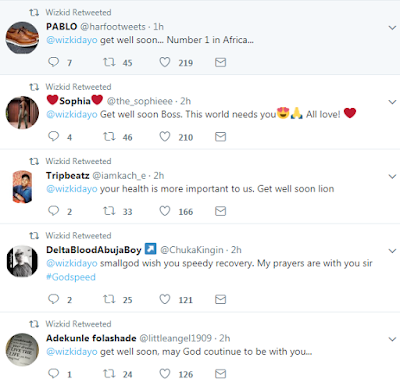 His fans in turn troop to his timeline to wish him quick recovery. 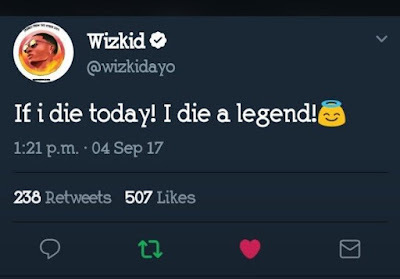 See some of their tweets below..